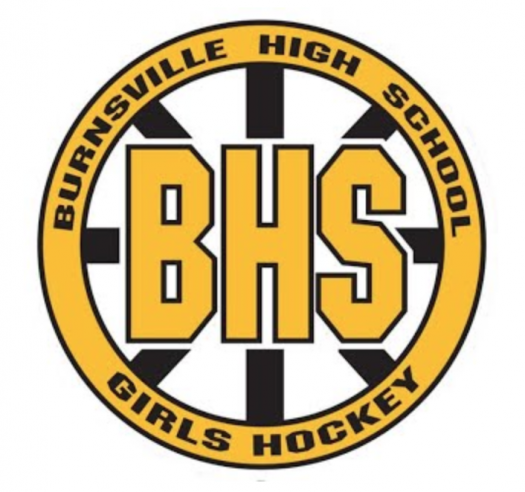 On January 9th, the Burnsville Blaze girls hockey team competed against the Hastings Raiders. The game came down to momentum as the first period was a defensive struggle, with only a total of five shots taken collectively by both teams. It was gritty and physical, yet shot opportunities were few and far between. The second period was also lacking goal scoring as after two periods none of the Burnsville’s seventeen shots could find the twine. Shots were prevalent for the Blaze as they took fourteen shots in the second period alone. The third period started off with more of the same, until a minor penalty for interference by Hastings led to a man advantage for the Blaze. Senior Forward Kennedy Anderson picked up her 13th point of the season as she broke the tie for Burnsville, then up 1-0. A second penalty by Hastings, (this one for cross-checking) gave Burnsville the advantage, this time Defenseman Lyndsey Howard picked up her 11th goal of the season to give a 2-0 lead. Two more goals by Emily Howard finished the Raiders off, Blaze cruising to a 4-0 victory.